This summary makes use of Gartner’s 3Q16 forecast data. It reports the mobile devices, including smartphones, feature phones and tablets in 2015-2020 development. Smartphone penetration makes use of the installed base and the population trend from United Nation. 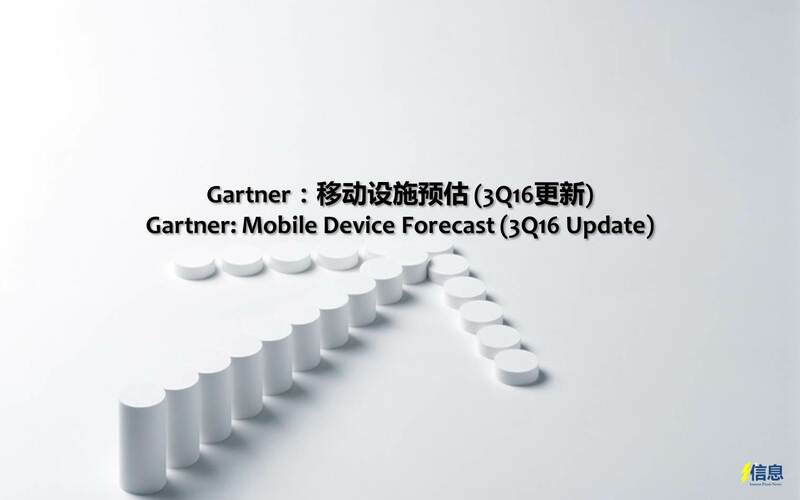 2015-2020 Smartphone Penetration Rate: WE, NA and especially Mature APAC penetration has / will exceed 100%, smartphone upgrade is driving the shipment indicating the consumers have higher requirements. 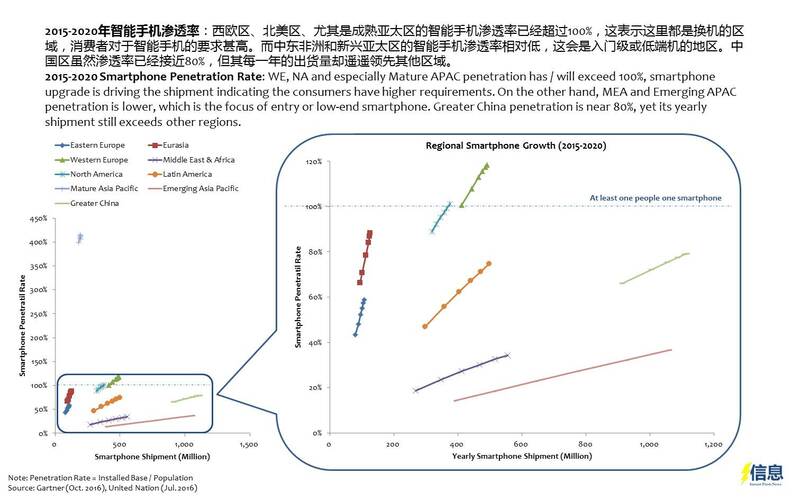 On the other hand, MEA and Emerging APAC penetration is lower, which is the focus of entry or low-end smartphone. Greater China penetration is near 80%, yet its yearly shipment still exceeds other regions. 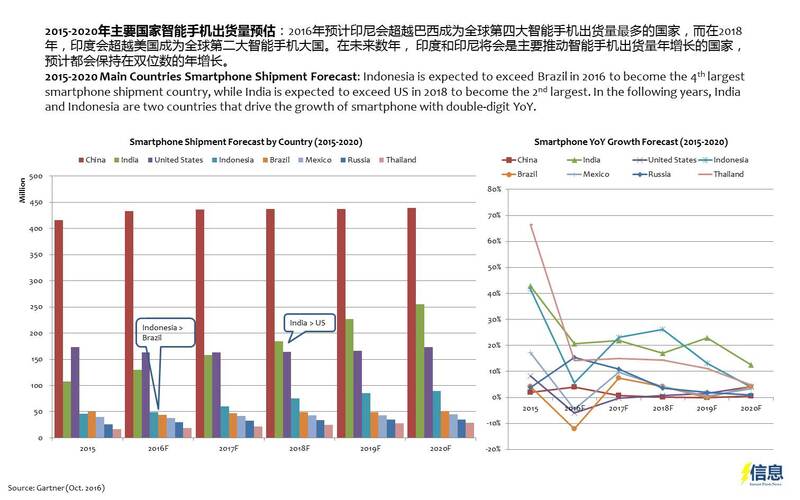 2015-2020 Main Countries Smartphone Shipment Forecast: Indonesia is expected to exceed Brazil in 2016 to become the 4th largest smartphone shipment country, while India is expected to exceed US in 2018 to become the 2nd largest. In the following years, India and Indonesia are two countries that drive the growth of smartphone with double-digit YoY. 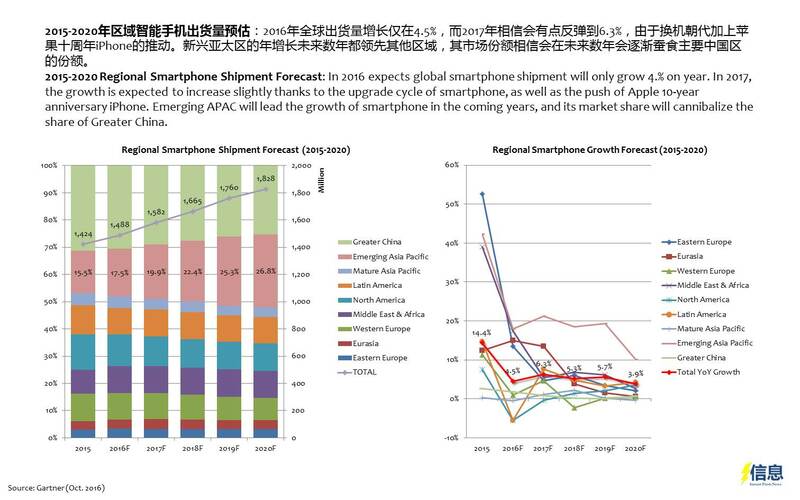 2015-2020 Regional Smartphone Shipment Forecast: In 2016 expects global smartphone shipment will only grow 4.% on year. In 2017, the growth is expected to increase slightly thanks to the upgrade cycle of smartphone, as well as the push of Apple 10-year anniversary iPhone. Emerging APAC will lead the growth of smartphone in the coming years, and its market share will cannibalize the share of Greater China. 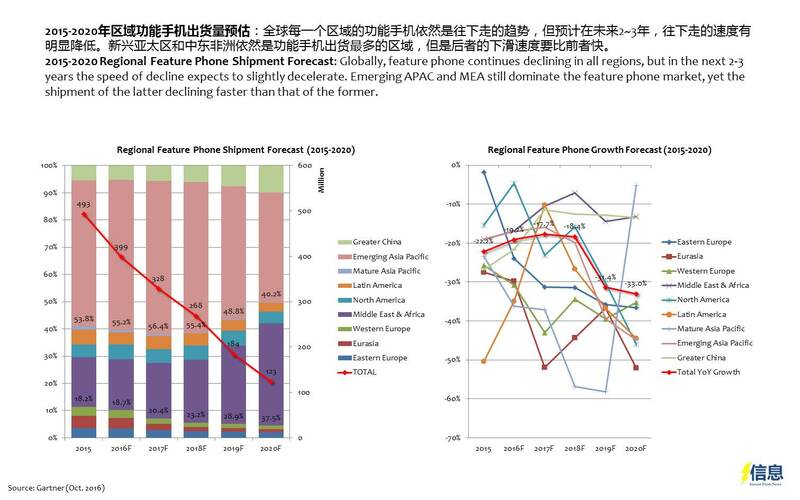 2015-2020 Regional Feature Phone Shipment Forecast: Globally, feature phone continues declining in all regions, but in the next 2-3 years the speed of decline expects to slightly decelerate. Emerging APAC and MEA still dominate the feature phone market, yet the shipment of the latter declining faster than that of the former. 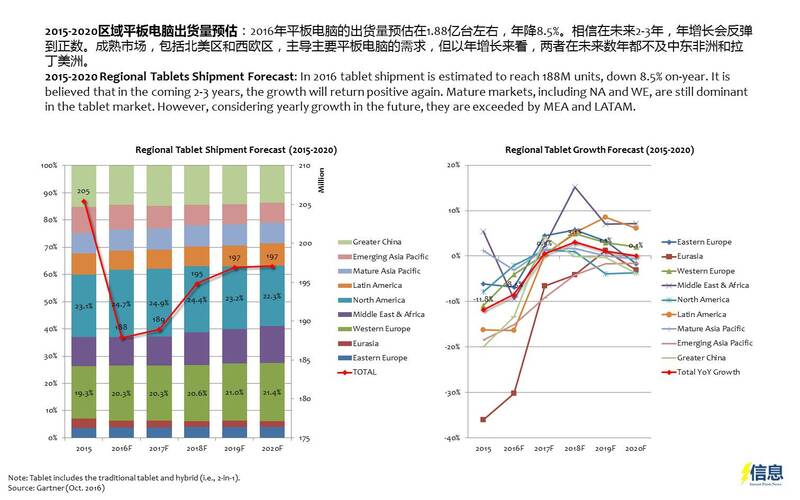 2015-2020 Regional Tablets Shipment Forecast: In 2016 tablet shipment is estimated to reach 188M units, down 8.5% on-year. 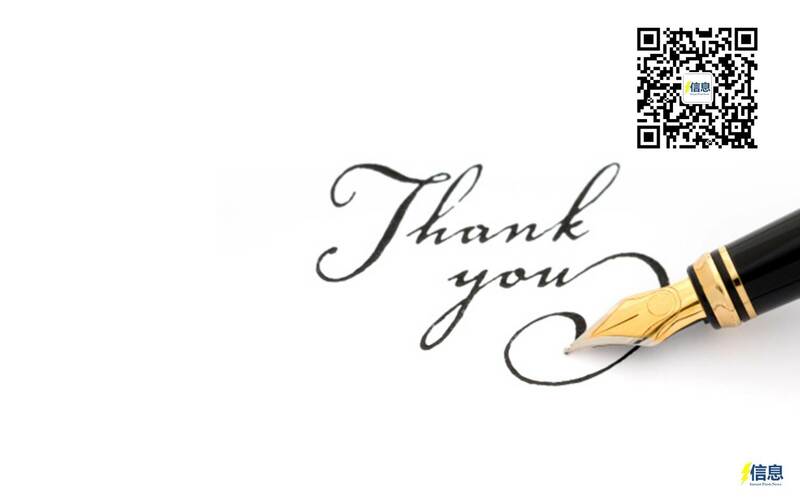 It is believed that in the coming 2-3 years, the growth will return positive again. Mature markets, including NA and WE, are still dominant in the tablet market. However, considering yearly growth in the future, they are exceeded by MEA and LATAM. 2015-2020 Hybrid (2-in-1) vs. 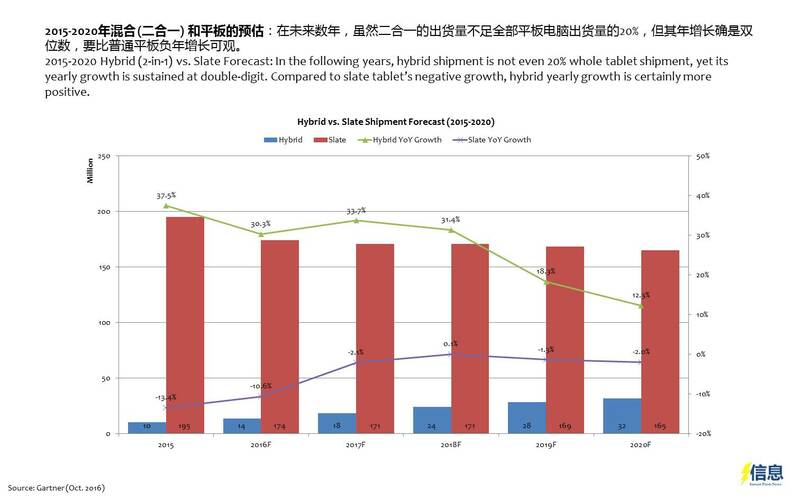 Slate Forecast: In the following years, hybrid shipment is not even 20% whole tablet shipment, yet its yearly growth is sustained at double-digit. Compared to slate tablet’s negative growth, hybrid yearly growth is certainly more positive. 10-29: Apologize for yesterday absence – Samsung, LG mobile 3Q16 finance – one earned less, one lost a lot; OPPO offline retails in China and Asia amount to 320,000; etc. → ← 10-26: Apple, HTC financial report – Apple earns less, HTC loses less; Google Pixel XL costs USD285.75; etc.